Shower gels are probably one of my favourite products that lush do! There is such a great range of scents and colours I really enjoy trying them all out. 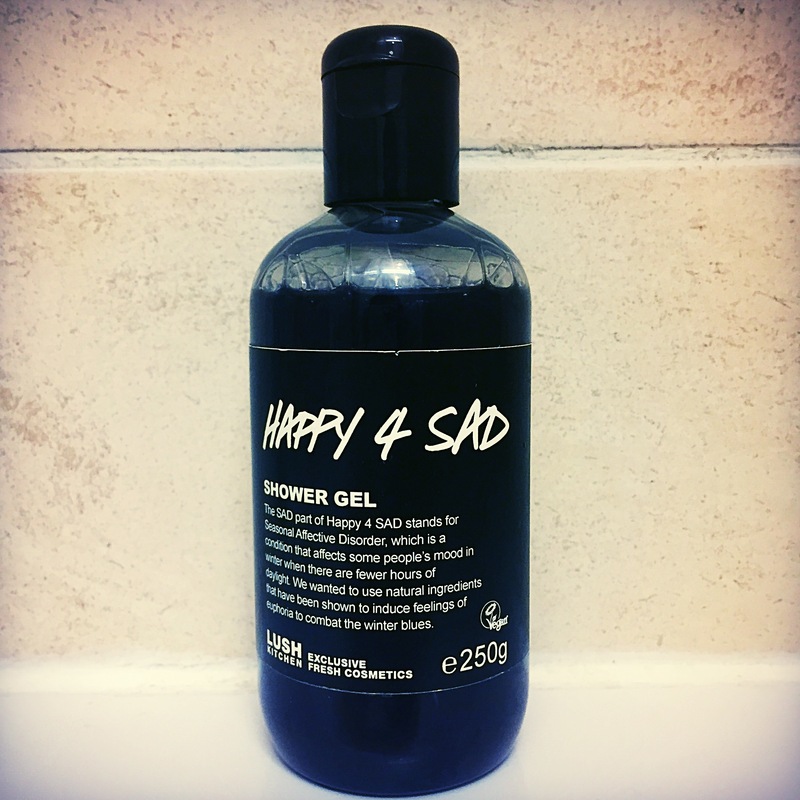 This month I decided to try out the Happy 4 Sad shower gel. Originally released in 2004 this shower gel has made its appearance several times on the the Lush Kitchen in the last few years. Lush created the Happy 4 Sad shower gel to help uplift your mood by using a variety of uplifting ingredients. The ingredients in this shower gel include Rose which helps restore happy feelings, Mandarin which is both uplifting and refreshing and neroli which can help to relieve stress and tension. The Happy 4 Sad shower gel is a deep purple colour which I was quite surprised with when it contains a lot of citrus ingredients. However it’s scent does reflect its ingredients and this shower gel has a floral yet citrus scent. Although the scent isn’t the strongest I did find the mix of ingredients to be very uplifting. When this shower gel mixes with hot water it creates a wonderful aroma which helps to lift spirits and leaves you feeling refreshed. I did find this shower gel to be extremely thin but I did find that It did still lather very well. I personally would prefer it to be a little thicker so I don’t end up using more than I need to, but this is just me being very picky. Overall I love this shower gel and will be stocking up on a couple of bottle for the colder darker months to help keep my mood lifted and spirits hight on those cold dark mornings. Ingredients – Fresh Dove Orchid Infusion, Water, Sodium Laureth Sulfate, Sodium Cocoamphoacetate, Fair Trade Aloe Vera Gel, Lauryl Betaine, Propylene Glycol, Fine Sea Salt, Neroli Oil, Grapefruit Oil, Mandarin Oil, Rose Oxymel, Limonene, Linalool, Perfume, Colour 42090, Colour 17200, Methylparaben.